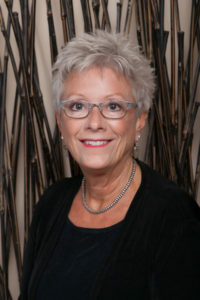 As a dentist serving the Phoenix metropolitan area for over 40 years, Dr. Briggs built a reputation based on excellence. Trust, mutual respect and the sincere desire to provide exceptional care have been the foundation of his practice. Caring for the overall health and well-being of his patients, Dr. Briggs saw the direct relationship between oral health and sleep breathing disorders. This made incorporating Dental Sleep Medicine a natural progression, as it focuses on the use of oral appliance therapy to treat sleep-disordered breathing, including snoring and obstructive sleep apnea. Always in search of knowledge, for the past 10 years Dr. Briggs has centered his continuing education in the area of sleep disordered breathing. He is a Diplomate in The Academy of Clinical Sleep Disorders Disciplines, the American Sleep and Breathing Academy and a member of the Academy of Dental Sleep Medicine. Several years ago he opened AZ Sleep & Snoring Center to dedicate time in serving the needs of the sleep disorders breathing community. According to the National Sleep Foundation, sleep apnea affects more than 18 million Americans. Left untreated, sleep disordered breathing can result in memory problems, weight gain, diabetes, depression, headaches, high blood pressure and other cardiovascular disease. Although CPAP therapy has been the standard of care for many years, The American Academy of Sleep Medicine guidelines establish oral appliance therapy as a proven treatment option for patients with mild to moderate obstructive sleep apnea. Dental technology has greatly advanced the effectiveness and comfort of oral devices, placing dentists at the forefront of sleep medicine. For those who suffer from snoring, Fotona’s NightLase® therapy – a non-invasive, non-surgical laser treatment is a great option. Dr. Briggs is one of a select few dentists in Arizona trained in this procedure. Through the use of heat, the laser works to rejuvenate the collagen and tighten the soft tissue at the back of the palate. This results in a decrease in the volume of snoring and lessens the effects of sleep apnea. Knowing the importance of proper sleep, Dr. Briggs and his team at AZ Sleep & Snoring Center are focused on helping people achieve the quality and quantity of life they deserve. 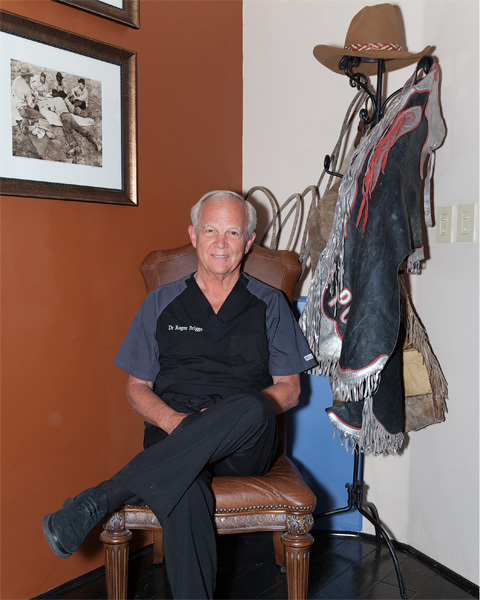 Dr. Roger Briggs has been practicing dentistry at the intersection of Scottsdale Road and Shea Boulevard in North Scottsdale for 43 years. For the past 10 years he has focused his continuing education in the area of sleep disordered breathing. Dr. Briggs is passionate about helping individuals achieve quality sleep, and views the detection and treatment of sleep disorders to be a very rewarding part of his practice. He is certified in Nightlase® a non-surgical, non-invasive laser procedure for the treatment of snoring. Dr. Briggs has been recognized by the Pro Player Health Alliance for his contributions and excellence in sleep medicine. Deb Bertelsen hails from the hearty Midwestern state of Minnesota. She is a graduate of the University of Minnesota with a degree in Elementary Education and a Master’s Degree Candidate in Organizational Development. She worked 19 years for a private corporation in St. Paul, MN managing customer service, collections, new business development and training before transitioning to the dental field. She devoted another 19 years to growing a single doctor dental practice and shoring up the business office operations for an Oral & Maxillofacial surgeon. Part of the dental practice expansion was treating sleep disordered breathing patients with oral appliance therapy. An opportunity to fulfill a life-long dream of living in the Southwest presented itself in July 2016. I joined AZ Sleep & Snoring Center and Dr. Roger Briggs in October 2016 as the Office Manager. I am grateful to be a part of this remarkable team working with knowledgeable and passionate people like Dr. Briggs and his assistants. Deb is certified as a True Colors Trainer and T’ai Chi Chih® Instructor. She is drawn to American Indian music, art and history; enjoys reading, music, crocheting, watercolor painting, golf and spending time with her life partner Bob. Leandra is an Arizona native, born and raised in Phoenix. Her passion for beautiful smiles is what led her to a career in Dentistry. Leandra started assisting doctors in 2009 after graduating from Apollo College. She has the skill set to optimally treat patients with the standard of care to suit each individual needs. 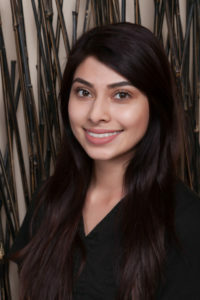 Her favorite part of dentistry is seeing the results that cosmetic dentistry can do for her patients. 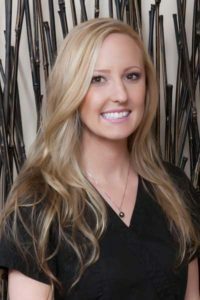 Since joining Briggs Family Dentistry in 2014, Leandra has been trained in the treatment of obstructive sleep apnea, becoming certified in dental sleep medicine. When not taking care of patients, you can find Leandra hiking one of Arizona’s beautiful mountain preserves, swimming, painting and spending time with her family, husband and two fur babies. Katherine was born in Long Beach, California but raised in the city of Chino, California. Katherine has been assisting since August, 2015. She worked in her hometown for about a year and a half until her boyfriend decided to change things up and move to colorful Colorado, in the city of Denver. She met and worked alongside great people in Stapleton, CO. She learned a lot and her knowledge expanded. In June 2018 Katherine and her boyfriend made the decision to venture out to a different state and move again. So they packed up and brought along their miniature schnauzer and headed to the Grand Canyon state, Arizona. Katherine enjoys going on hikes, being outdoors, exploring new places to eat and being able to spend time with friends and family.